Microsoft is moving away from the Xbox branding it had previously associated with its music and video applications. The new apps, known simply as Music and Video, aren’t quite ready for primetime but they are available to those running the Technical Preview of Windows 10 starting today. 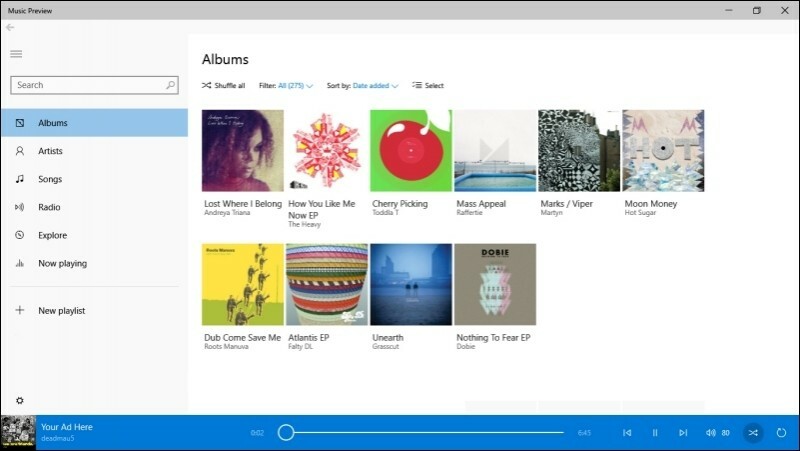 Based on early reports, the new Music and Video apps aren’t too terribly different from what you’ll find in Windows 8.1. Early adopters will notice a couple of UI tweaks, however, including an altered menu system that collapses by default when in a windowed view. Account settings and options are also easier to access, we’re told. The Verge notes that there are a few drawbacks to using the preview apps. For example, the Music app doesn’t have playback controls when hovering over the app in the taskbar. There are also said to be some issues with playback using Music Pass. In the Video app, meanwhile, purchased content takes a few seconds to start while adding or removing folders from a video library can cause the app to hang. All things considered, it might be best to play the waiting game as Microsoft is planning to add a number of new features to the apps in the near future. By all accounts, the big news here is the dropping of the Xbox branding. Microsoft’s decision to brand the apps with console branding was puzzling to begin with. For consumers, the move made it difficult to distinguish if they were only for Xbox or if they worked on other platforms too.